Pure Spa Direct Blog: Best Makeup Brush Cleaning Products, Hands Down! It's no surprise that your makeup brushes are filled with more than just old makeup. They house bacteria, dead skin cells, dirt, and oils. Sanitizing your brushes correctly is extremely important, and teaching your clients to do so is paramount! Makeup brushes should be cleaned by using a quick spot clean after every application and deep cleaned weekly! Spot cleaning can be used by simply using a brush cleaner and a washcloth or paper towel! A deep clean can be performed a number of ways. My personal favorite includes a deep soak and a gentle baby shampoo! You can also achieve the results using a clarifying shampoo, or very gentle unscented soap. Each brush should be hand-washed and rinsed thoroughly in lukewarm water. Then they should be left to dry on a towel overnight. 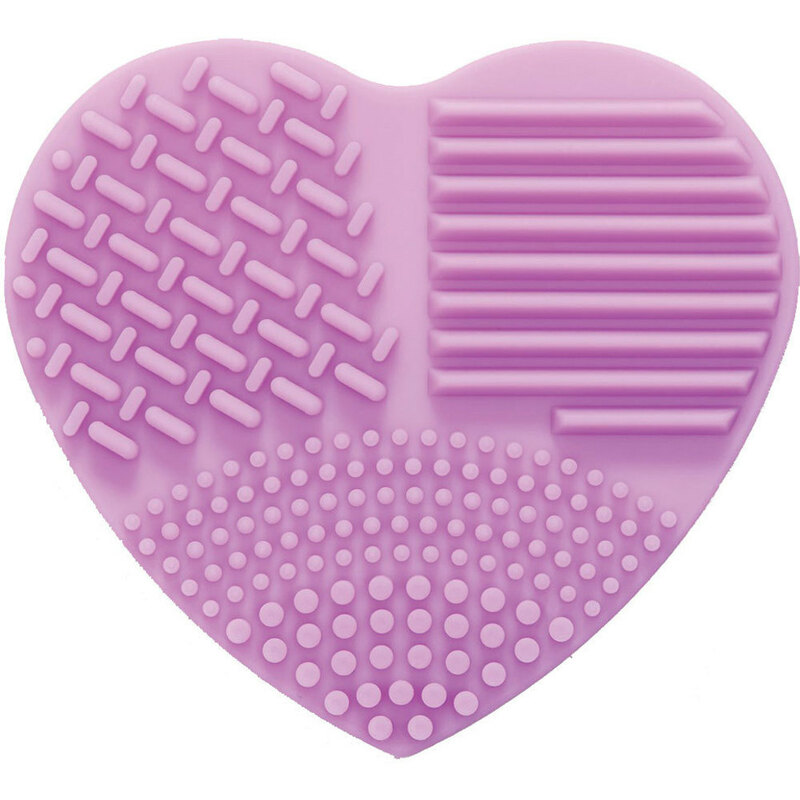 I also love this cute Heart Shaped Makeup Brush Cleansing Pad to help with either cleaning process! Use this silicone brush cleansing pad to thoroughly deep clean makeup brushes. The multi-textured ridges are gentle, yet effective in releasing product, dirt, and oils. Pair with your favorite makeup brush shampoo. Gently swirl the brush back and forth on the cleansing pad until all makeup residue is gone. Rinse in clean water, re-shape and lay flat to dry. Of course, your makeup brushes will not last forever and will need to be updated from time to time. Thoroughly cleaning and caring for your brushes will help the brush last longer, work better, and leave your clients skin blemish and breakout free. When you are ready to add more brushes, we have everything for you! Try a mega pack to stock up on plenty for your business and to retail to your clients or a smaller amount to make sure your brushes are sparkling clean!.